The global live brand storytelling agency has appointed Adam Harriden to the role of executive creative director. New INVNT creative director Adam Harriden brings nearly 20 years’ experience to the role. He has worked in a creative capacity at agencies including Jack Morton New York, Host/Havas’s PR arm, Red Agency, Clemenger BBDO’s experiential agency, Traffik, and most recently as a freelance consultant. 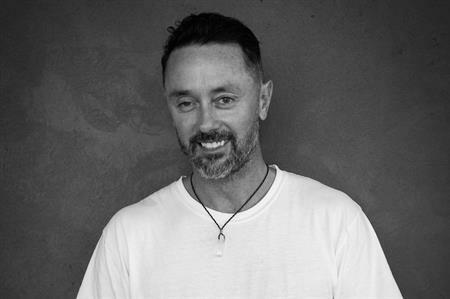 Reporting into INVNT’s chief creative officer, Paul Blurton, Harriden will now be responsible for leading the creative output of campaigns for the agency’s APAC clients, as well as collaborating with INVNT’s global creative department to ensure international clients’ events are on brand and on message. "There wasn’t an agency in the region that wasn’t chasing Adam, and yet we met, and just instantly hit it off," said Blurton. "I introduced him to the other Creative Directors at INVNT, and it was like an instant chemical fire. We saw eye-to-eye! INVNT’s creative offering is our core differentiator. "We’re a cohesive and yet fiercely independent crew of agitators and provocateurs, from wildly diverse backgrounds, and Adam’s challenger mentality, matched with his passions outside of work – from lecturing to creating eco-friendly surf wax – make him an ideal addition to our global creative network, and the perfect expression of INVNT’s creative edge in the APAC region." Over his career Harriden has produced award-winning creative campaigns in Sydney, New York and Dubai, for globally renowned brands including Samsung, Sony, Schweppes, Vivid Sydney and SXSW in Austin, Texas. His work has been recognised at major international and local awards shows including Cannes Lions, The Australian Effies, Spikes Asia and The Mumbrella Awards. Harriden added: "If you look at the way societies are created they are all about rules and regulations. We need to escape these environments every now and then and stop comparing ourselves to others – that’s when we’re able to start thinking differently, and that’s the key to great creative. "I take an honest approach when it comes to my client relationships, and encourage them to re-think the way they do things, so INVNT’s ‘challenge everything’ mantra really resonated with me. "I am a big believer that if we’re not doing work that’s good, it’s not worth doing. I am passionate about collaborating with brands that are doing good, whether it’s educating and inspiring their customers and communities, partnering with not-for-profit organisations or taking a pro-active stance on sustainability. "I look forward to developing campaigns for our clients that break through traditional barriers and in doing so, help them meet their objectives." Harriden’s career began in fashion marketing and design at Volcom, Ben Sherman and Billabong, and he moved agency side when brand experience was first-emerging in Australia. From there he evolved into more traditional marketing and advertising roles, where brand experience often had a prominent role to play. Laura Roberts, managing director, INVNT APAC said: "We’re a tribe of wicked smart, ambitious, and industrious individuals, and Adam fits this bill perfectly. "It’s no surprise that his creative and strategic approach is already challenging the status quo. The addition of Adam will continue to position INVNT as a game-changer in Australia and the APAC region." Harriden is a recognised industry leader, a passionate environmentalist and is the founder of not-for-profit organisation GoodSurfWax Australia. If balance isn't possible, how do you create a work-life blend? What are the best employee benefits?